The Friedrich Naumann Foundation for Liberty (FNF) takes pride in the appointment of its Alumni Group member Atty. Maita Chan-Gonzaga as commissioner of the Presidential Commission on Good Government (PCGG). Atty. 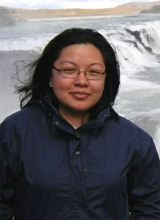 Gonzaga attended the International Human Rights Academy in Utrecht, Netherlands in April 2004. Atty. 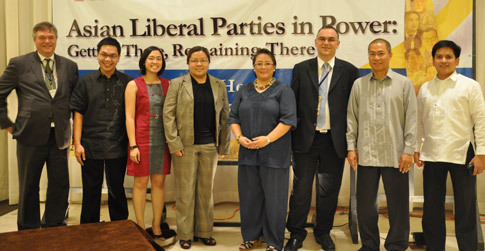 Gonzaga was with the Ateneo Human Rights Center (AHRC) and the Working Group for an ASEAN Human Rights Mechanisms before she was appointed commissioner. In spite her outstanding educational achievements – graduating from Ateneo Law School as class valedictorian in 2002, placing fourth in the bar examinations, Atty. Gonzaga chose to pursue alternative lawyering. She was part of the AHRC Internship Program in 1999 where she discovered “a sense of obligation to serve.” “The exigencies experienced in working with the poor and the marginalized meant that it couldn’t be anything but personal. The very real faces and the very real lives I came into contact with demanded no less and allowed no quarter,” Atty. Gonzaga wrote in the AHRC interns’ publication Remember Still: Interns’ Reflections on Alternative Lawyering in the Philippines . Atty. Gonzaga also received the St. Thomas More Award given to the most distinguished graduate when she finished law school. She obtained her Magister Juris from Oxford University in 2008. She teaches law at the Ateneo Law School. Working Group for an ASEAN Human Rights Mechanism Secretariat with FNF Philippine Office Resident Representative Jules Maaten and FNF South Asia Regional Director Siegfried Herzog.